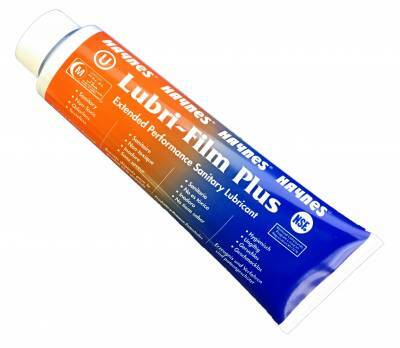 4oz Tube of Lubrifilm Plus perfect for use in soft serve ice cream and frozen yogurt machines. Are you looking for Taylor lube for ice cream machines? Soft Serve Parts has you covered. This food-grade ice cream machine lubricant is an exact replacement for Taylor Lube. It’s a time saver because it easily cleans off the equipment without leaving a mess! Designed for extended performance and low friction, Haynes Lubri-Film plus is a heavy-duty sanitary ice cream machine lubricant that you can count. Authorized by the NSF and rated for H1 use in food processing. For an exceptional alternative to Taylor lube for ice cream machines, look to Haynes Lubri-Film. To extend the life of your equipment, order yours today! You will lubricate several parts on your Taylor machine every time you clean it, usually twice a week.